CheckIssuing.com Earns Complete SOC Accreditation Successfully Upholding All Standards For An SOC 1-SSAE 16 Type II Audit By The AICPA. Service Organization Controls (SOC) is a series of accounting standards that measure the control of financial information for a service organization. They are covered under both theSSAE 16 and the ISAE 3402 professional standards. In a fifty page audit report, the American Institute of CPAs evaluated each system, policy and practice in place to determine at the most granular level that CheckIssuing.com is operating in an ethical, sustainable and suitable manner that is aligned with industry best practices. A summary of the SOC 1-SSAE 16 Type II audit report is available upon the request of new or existing clients, showing many of the rigorous tests conducted by auditors and the complete satisfaction of each requirement to surpass the thresholds necessary to achieve full accreditation. 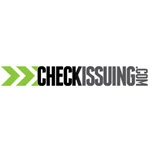 For more information about the many ways Checkissuing.com can streamline your business payment services, visit http://www.checkissuing.com, and to learn more about the SOC process, click the certification seal now proudly displayed on the company website.